Bashar Momin a.k.a Faysal Quraishi Returned to Screens This Weekend! Bashar Momin, Geo Entertainment’s most popular drama series for the past months, with Faysal Qureshi playing the lead, returned to TV screens this weekend with its 14th & 15th episodes. 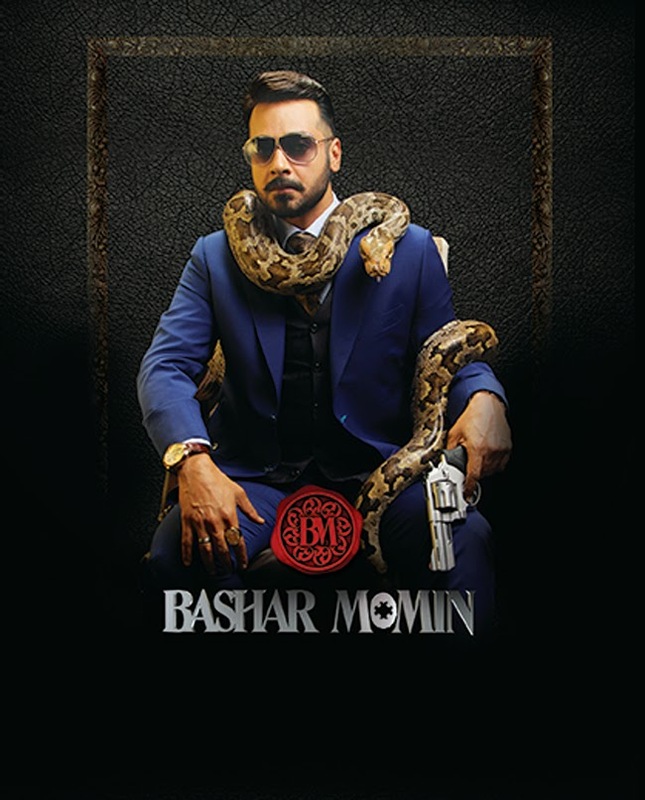 Directed by Syed Ali Raza Osama, Bashar Momin features popular TV actor and host Faysal Quraishi [as Bashar Momin], Ushna Shah, Sami Khan, Maheen Rizvi, Sundus Tariq and Yasir Mazhar. Bashar Momin has been extensively categorized due to its explicit genres of jealousy, love, hatred, romance and suspense. It is the most expensive drama ever made in Pakistan. The series was first aired on Geo Entertainment on March 14, 2014 and has now returned in full force after a small hiatus. Fans of the show have been eagerly waiting for the return of this romantic drama series. Ever since the show stopped airing a couple of months back, Bashar Momin's official Facebook page which has close to 400,000 fans on it, along with Faysal Quraishi's own Facebook page, have been inundated with questions regarding the show and requests to post the next episode online. Needless to say fans were ecstatic that Bashar Momin was back on air this weekend and that they will be able to watch this captivating drama twice a week, Fridays & Saturdays at 8 p.m exclusively on GEO Entertaiment. Faysal Quraishi, the lead actor in this drama serial whose character is a scheming money launderer, comments on the return of the show, saying: "The excitement level is through the roof. I am thrilled that the show is back on air. Now we just have to see the reaction of the fans as there has been quite a gap between the airing of the episodes but Bashar has a huge fan following online and we are excited." Without a doubt a good portion of the Pakistani audience was glued to their television screens over the weekend to see how Bashar Momin's story continued to unfold. Let's just hope the electric companies showed the same level of excitement as the fans.